Rafa Benitez insists there is no need to worry about Ayoze Perez’s admission that he could look to leave Newcastle United after a five-year cycle. In an interview in his native Spain, Perez suggested there will be a time when he could look to return to his homeland to take the next step in his career. It will be five years ago this summer when the 25-year-old arrived from Tenerife and his current contract does not expire for a further two seasons. But Perez’s comments could encourage teams in Spain to make a move, even though he has enjoyed another productive campaign in which he has scored seven goals to help Newcastle edge towards safety. Perez has previously interested in the likes of Barcelona and Real Madrid but such moves would be much harder for him to nail down now given an indifferent few years on Tyneside. And Benitez revealed recently that Newcastle had turned down offers from Spain for the forward, but the Magpies boss does not see any reason to be concerned now. Perez has had criticism for his performances from Newcastle fans at times and has responded with his fingers-in-the-ear celebration, perceived by many to be an answer to those critics. But Perez said: “It was complicated, especially the first year. It helped to have my brother there, to get away from the family to see them every one or two months. I left young, leaving the Spanish second division directly to England. “At the start there was interest from Porto, then Barcelona and Real Madrid academies but there was the option of Newcastle and that was my top interest. Perez’s future will be up for discussion again in the summer if Spanish clubs make offers for his services. In many respects, though, Benitez’s own future is even more unclear. Benitez has been linked with plenty jobs and that is as a direct result of his contract edging towards expiry this summer. He has had tentative talks about a new deal again during the international break, but wouldn’t reveal at what level. The former Liverpool manager has had direct involvement in the discussions that have ended with Newcastle being named as one of four Premier League teams set to compete in the Asia Trophy during pre-season. He said: “What I have is experience in China. We have been there with different teams. You have to manage. Obviously, from the commercial point of view, it’s always positive for the club. 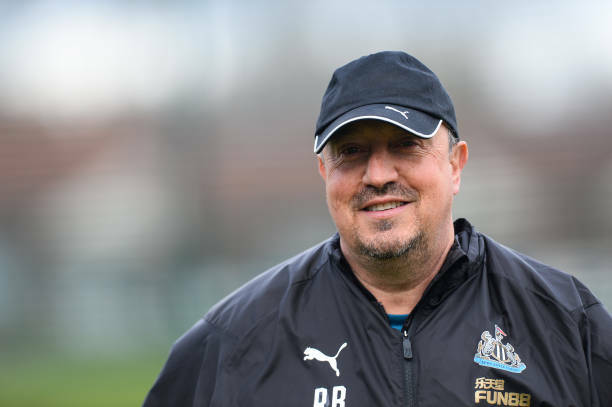 Benitez’s preference is to stay closer to home and a trip to the Far East is likely to mean that Newcastle’s annual tour to Ireland for a training camp during pre-season is scrapped this year. “My idea is to try to keep the team away from the training ground, but close enough so it’s not changing everything and only if you have all the conditions that you know. If you know the conditions are OK, that’s perfect,” said Benitez. “If you have to go away and you don’t control what’s going on, you can have surprises. When I was with Liverpool we had a training session with weights outside, and it was raining. You could not do anything. “Another training session was 95 per cent humidity, so we couldn’t train. Sometimes, things you can’t control happen, and you have to be ready. The positive thing is we have experience of that. If Benitez does stay beyond this season then he will hope to have striker Salomon Rondon back at St James’ Park when the action resumes in August. And he has revealed the pair have a mutual agreement that the Newcastle man should focus on finishing the season with a flourish rather than think about his future. Benitez said: “I have talked with him about football, I asked him about what was going on. We had the same message, it is to carry on scoring goals. If he scores goals it will be easier for him. It is better for him not to think about the future and just to score goals.” Rondon is expected to stay in the side at Arsenal on Monday.